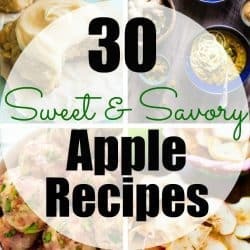 Oct 30 By Jen 12 Comments This post may contain affiliate links. 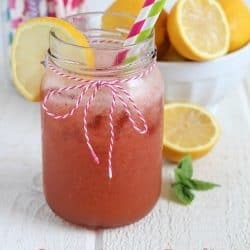 This is a recipe I’ve been making for years and years and years and for some silly reason, have never posted it on YHE. I’m not sure if you read my Pass the Pork Tour Recap a couple weeks ago, but I recently went to Iowa for the first time with the National Pork Board and experienced a real pig farm. It was a crazy, amazing experience. 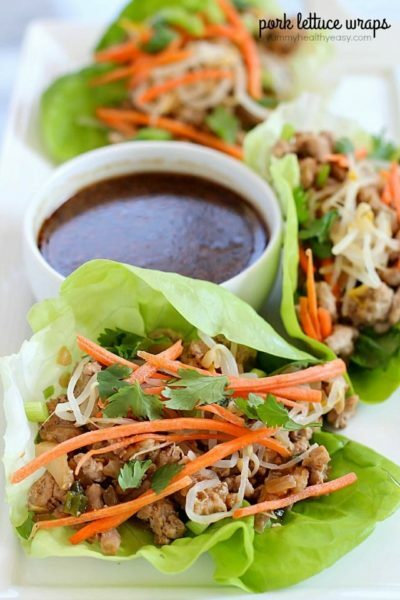 Go check out that post and get the recipe for The Best Pork Lettuce Wraps – they are to-die-for! So pork has been on my brain lately. Did you know October is National Pork Month?? I’ve made pork WAY more than I usually do over the last several weeks. I have a new appreciation for it. When I’m at my grocery store, I’m all proud to tell the butcher that I witnessed pigs being born, pig insemination and a pork fabrication. Yes, my butchers are all very impressed by my pig knowledge. 🙂 I feel pretty proud of that fact, too! I’ve found that my favorite pork cut is the tenderloin. I mean, what’s not to love? It’s super healthy, with very little fat but is so tender. You don’t even need to cook it long to get succulent, juicy slices of pork. It’s crazy to me how easy it is to look like a pro chef when you cook up a tenderloin. 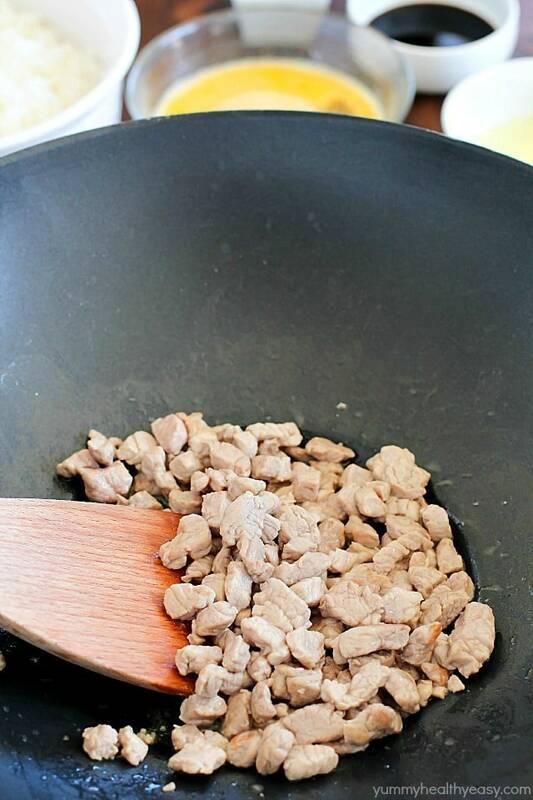 Pour about a 1/2 tablespoon oil in wok (or pan) and add diced pork tenderloin. Cook for a few minutes until browned. I’ve also used leftover pork. Sometimes I’ll have leftover pork chops and I’ll cut those up into small pieces and just heat them back up for a few seconds. Take out the cooked pork and place in a bowl on the side. 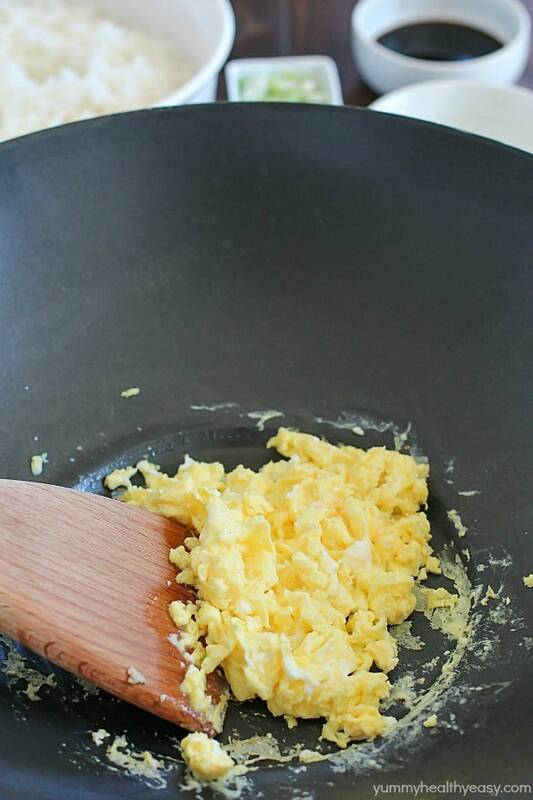 Pour a little more oil in the wok and cook your beaten eggs. When done, pour into bowl with the cooked pork. Next, add a tablespoon more oil and pour in your rice. If you cooked it just for this recipe, you won’t need to heat very long. 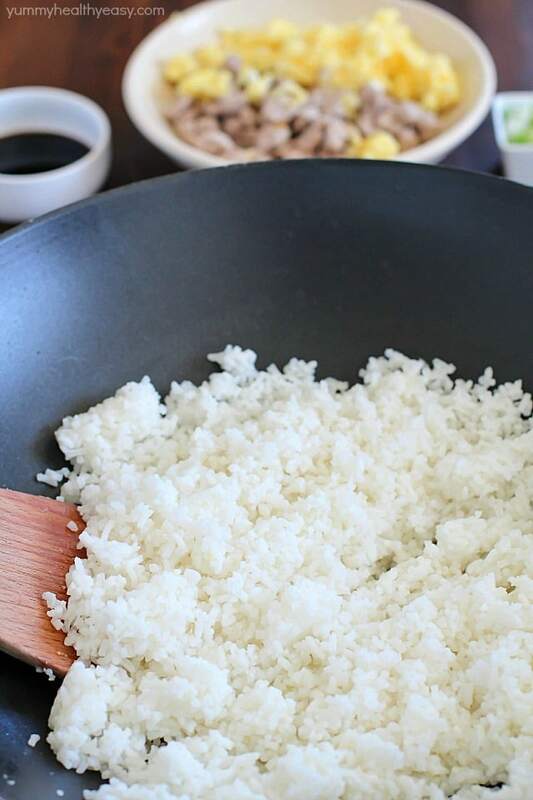 If your rice has been sitting in the fridge, you’ll need to break it up and heat through. Now add in the green onions and cook for a minute or two. 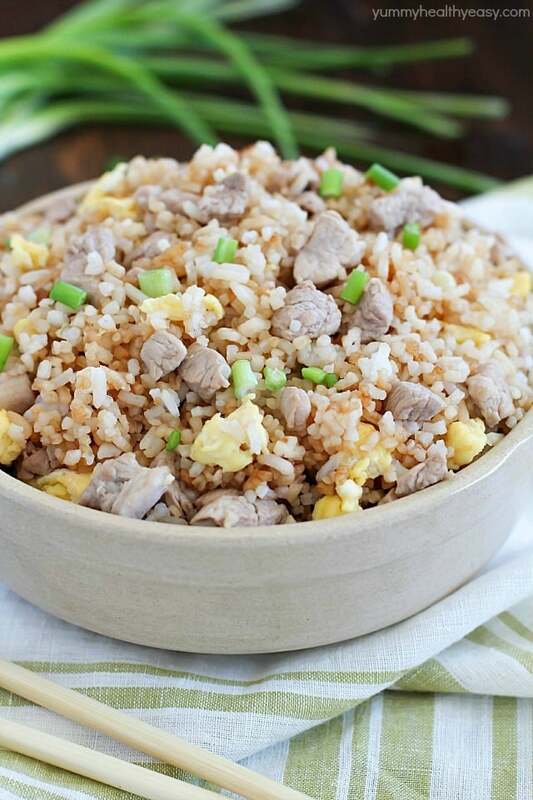 Pour in soy sauce, pork and scrambled eggs. Stir to combine and add the salt. BOOM. Dinner’s ready! No joke. That’s it! How easy is that?! 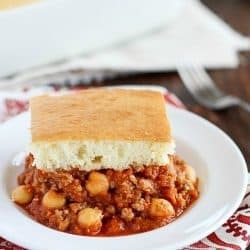 This is a family favorite, kid-approved dinner! The pork in this is spot on. 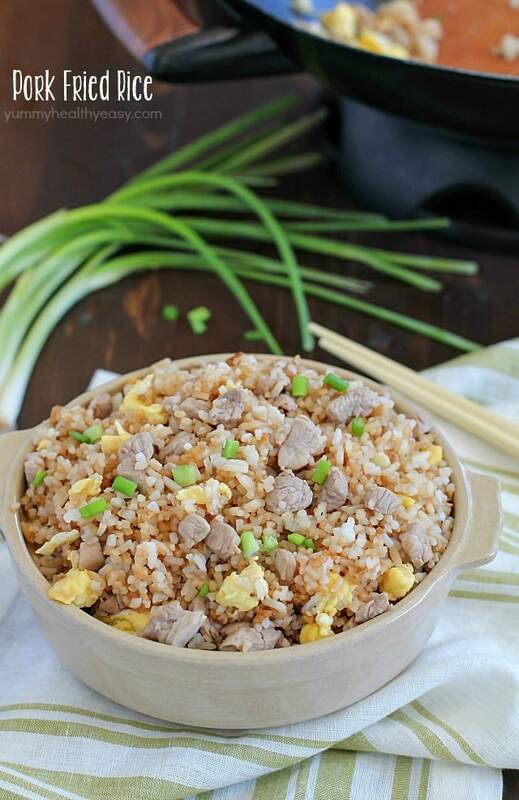 It’s tender and adds a great flavor to the fried rice. 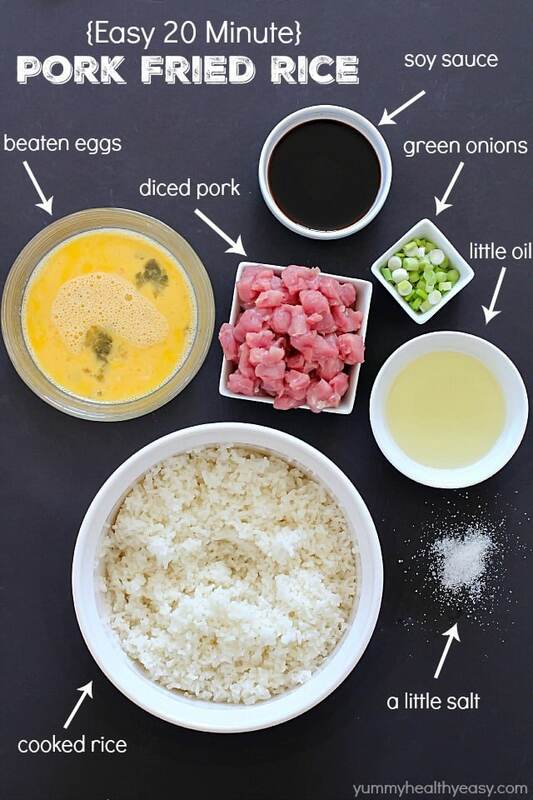 I hope you’ll give this recipe a try and also visit the Pork Be Inspired website for more yummy pork recipes. 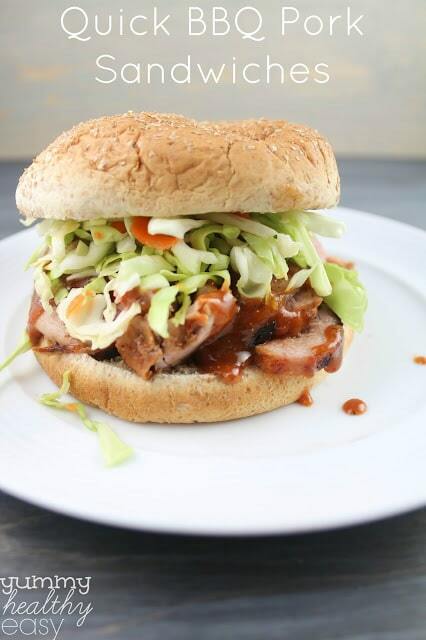 Pork is such a great versatile meat that gets sort of overlooked. 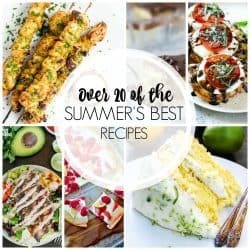 I’m not sure why, when it’s inexpensive, healthy and easy to cook. 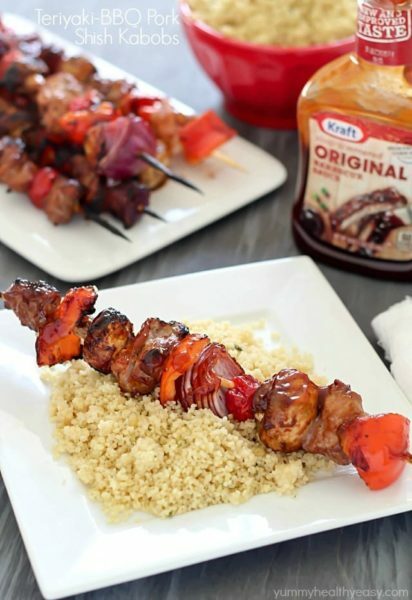 Try swapping out your ground beef for ground pork this week, or try cooking a pork tenderloin! Have a great weekend and a Happy Halloween! 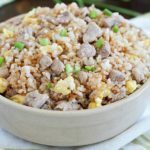 Crazy delicious family-favorite Pork Fried Rice that's easy, only has 7 simple ingredients, takes 20 minutes or less and will WOW any and everyone! Heat another 1/2 Tbsp. of oil in wok and scramble the beaten eggs. Pour into bowl with cooked diced pork. 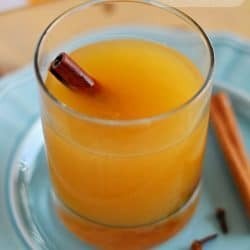 Pour about 1 1/2 Tbsp. of oil into wok and pour in the cooked rice, breaking up big pieces until heated through. When heated through, add green onions and cook for a minute. Add in soy sauce, pork and scrambled eggs. 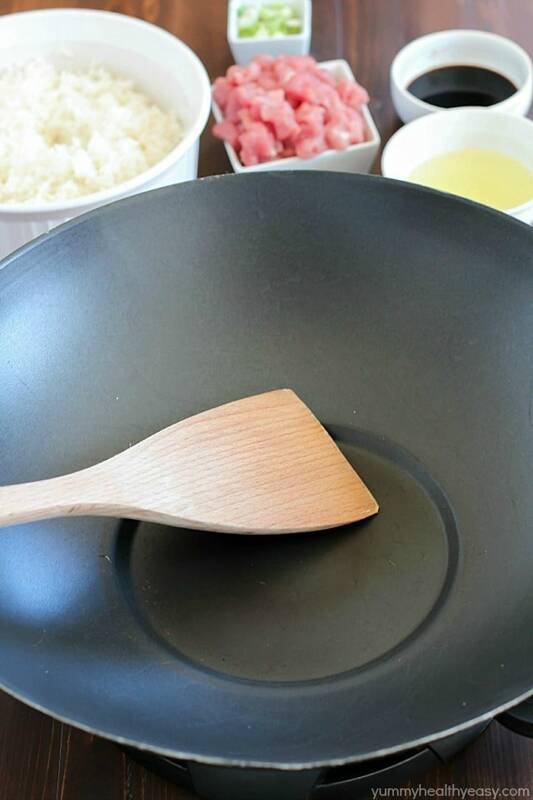 Stir to cover the rice with soy sauce. Add salt and stir until all heated through. 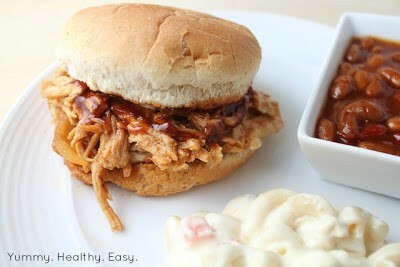 Thanks to the National Pork Board for sponsoring this post! As always, all opinions expressed are 100% my own! Thank you Jen. Have a good weekend! Thank you so much, Liz!! You too! 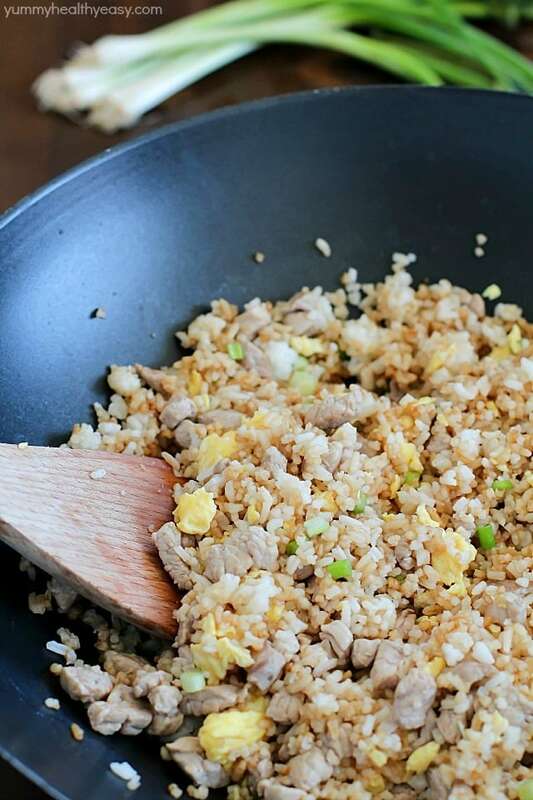 Thank you for your recipe for your fried easy pork rice dish – my 11 year old boy has told me it’s been his favourite dish this week for tea and prefers it to pizza! He’s a fussy eater so delighted I’ve come across your recipes! This makes me SO HAPPY!!!! Thank you for trying it and letting me know that you all liked it! 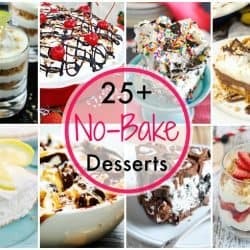 I hope you’ll try more recipes on Yummy Healthy Easy!